Our March 14 cleanup was a success limited only by the number of volunteers. 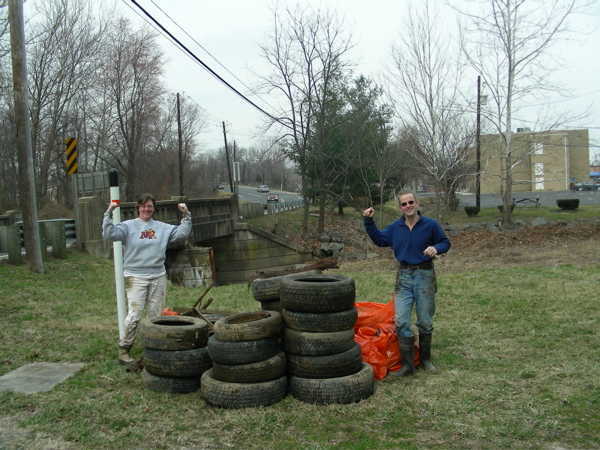 The two of us (Vicky and Lutz) were able to carry out 19 tires, 6 bags of trash and other items from a 150-yard reach of Indian Creek upstream of Powder Mill Road. A crew from Prince George's County picked up the trash a few days later. Thanks. Go back to: Photo Album page CCRIC home page.